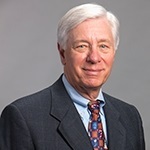 Rudi began his career with Prudential in 1968, following his graduation from Rutgers University, where he earned a BS in Agricultural Business Administration. He has received the Chartered Financial Consultant and Chartered Life Underwriter diplomas as well as the Masters of Financial Services degree, all awarded by the American College. He is also a CERTIFIED FINANCIAL PLANNERTM professional. Rudi is a 42-year Qualifying and Life member of MDRT, with nine Court of The Table qualifications. From 1982 to 1998, Rudi was an Investment Advisor Representative and ran Chartered Financial Services as an independent financial planning practice. In 1998, he joined Prudential Financial Planning Services and went on to be named the #1 Prudential Financial Planner seven times. His 2015 alliance with John Benton has taken Chartered Financial Services to a whole new level of strategic financial planning and analytical experience. Rudi and his Associate Producer, George Vornehm, manage over $100MM for their planning clients. Rudi is an avid golfer and is a member of Mendham Golf & Tennis Club and Waterlefe Golf and River Club, and regularly posts over a 100 rounds annually to his handicap. He is a native New Jerseyan and has been married to his wife Barbara for 50 years. They have three children and seven grandchildren and reside in Randolph, NJ and Bradenton, FL.